We weekend hard during the summer months. Beach trips, farm outings, playground adventures, theme-park play dates, you name it, we love it. We make sand angels, splash in the surf, hike through berry patches, jump in pools, play in dirt, eat melting ice cream cones, and enjoy every messy, filthy moment. Obviously, bath time is an essential part of our wind down routine at the end of an epic summer day. I love to fill our tub up with loads o&apos; bubbles and suds and soapy goodness and give my babies a cleansing soak. And they love to make foam bears and play with their beloved bath toys! Anything that squirts, splashes, and pours is a win for my two toddlers. And anything that&apos;s made with safe (and preferably mold-resistant materials) is a hit in my book. 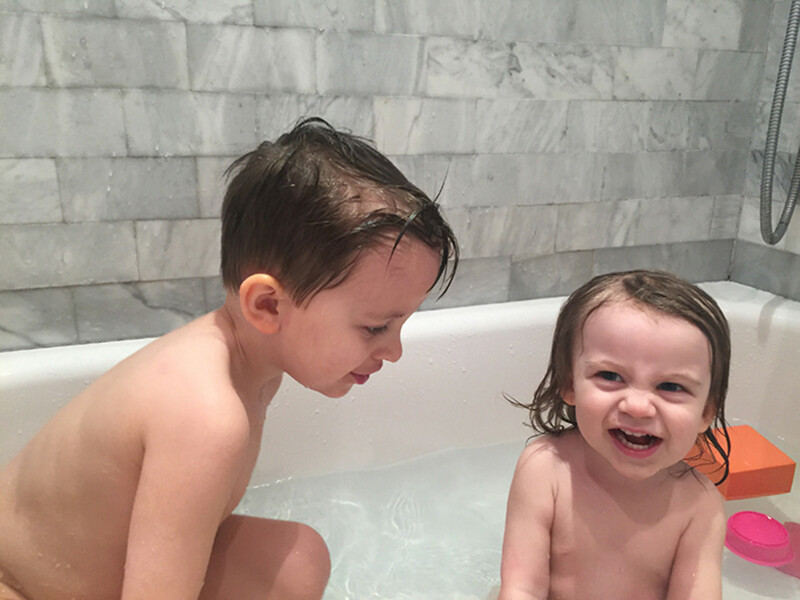 To celebrate International Bath Day, I&apos;ve rounded up eight awesome bath toys for littles. Because getting clean should almost be as much fun as getting dirty!